Starting out as an adaptation of "Goldilocks and the Three Bears," the picture moves outside the confines of the studio, suddenly changing moods and referents. The bears chase Goldilocks across a snowy landscape until "Teddy" Roosevelt intervenes, kills the two full-grown pursuers, and captures the baby bear. The sudden appearance of T. R. was based on a well-known incident when President Roosevelt was on a hunting expedition in November 1902 and refused to shoot a bear cub. Shortly thereafter a New York toy store owner began to make and sell "Teddy's bear", a stuffed version of the spared cub. 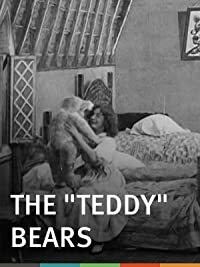 The novelty had become a craze by 1906-7, when thousands of toy bears were being sold each week. The combining of these two referents was key to the film's humor.